Simple, Elegant, A Timeless Tower. 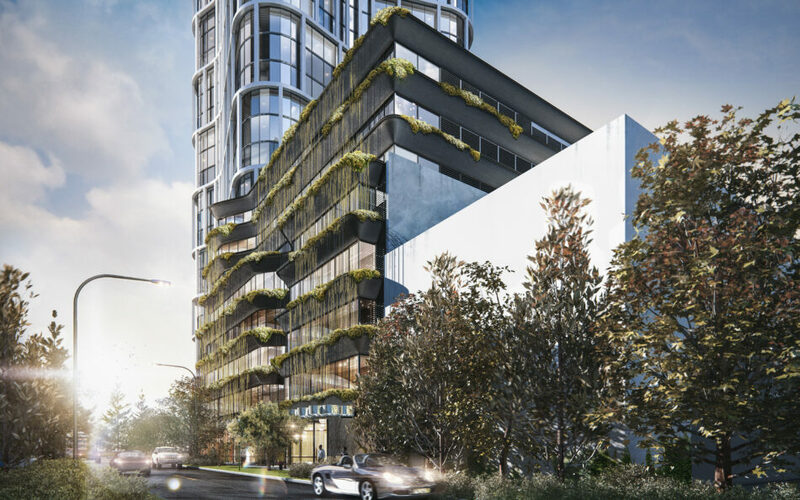 Situated at the intersection of Lyall Street and Melville Parade, the 43 storey mixed-use development is envisioned to become an urban landmark of high-quality design in engaging with the public and providing excellent residential living experience. 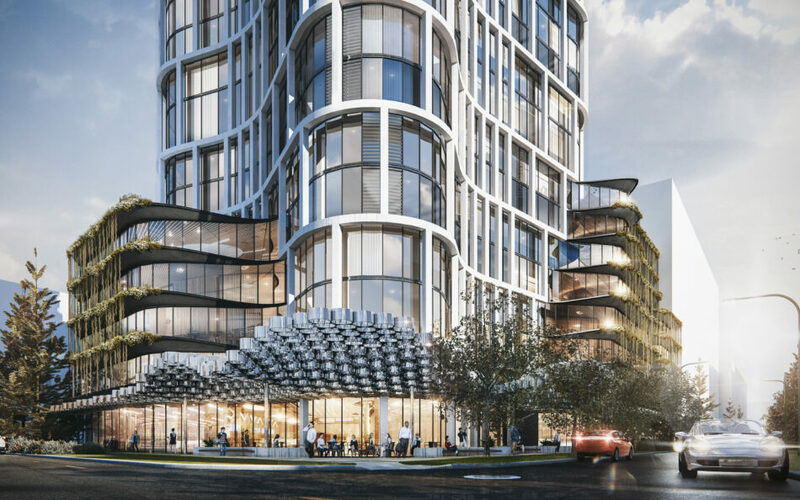 The building envelope is sculpted into a dynamic tower form with soft curves on all corners that helps to maximise potential views from occupants and minimise overshadowing on neighbouring lots. The podium is peeled off from ground to the upper levels, emphasising the effect of the tower hitting the ground. 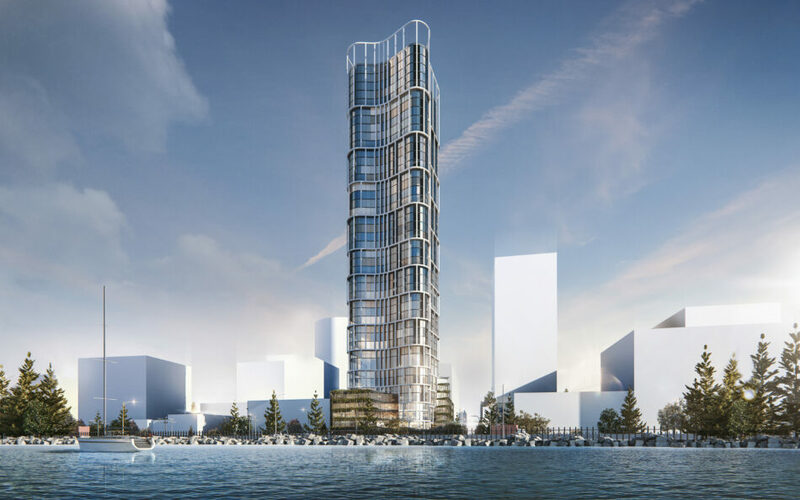 A delicate exoskeleton wraps the entire tower, changing in frequency and scale to emphasise the curves of the building. The height of the grid increases as it progresses up, allowing the building to be easily identifiable from near or far and engages the pedestrians in a human scale. Landscaping on the podium level soften the facade and create an engaging public experience. A sculptural canopy on the ground level also helps the interaction between the building and the public.